I post photographs and accompanying essays every day. I try to associate photos with subjects that sometimes do not seem to have connections. But they do. Think Bunny Watson. It is not generally known that Borges wrote what could be technically seen as speculative fiction. He wrote Tlön, Uqbar, Orbis Tertius around 194O and it appeared in the Argentine journal Sur, May, 1940. The story has a postcript dated 1947. As Google becomes the defining reality of what exists and what doesn't, I wonder how Borges might have tinkered with our on-line world in his fiction. I have been often intrigued by looking for people or events that I know existed or exist and drawing a blank from Google. Or even more troubling when I get a notification that the web page I am looking for is no longer available. 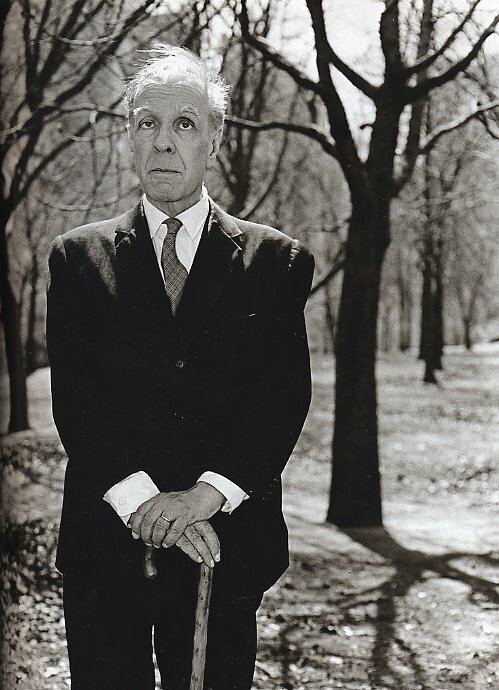 In the Borges story, he is having dinner and chatting with his long time friend, writer Bioy Casares, in a summer (those that can, rent quintas to escape the heat of Buenos Aires) estate in the Buenos Aires suburb of Ramos Mejía. They spot a mirror and they share their idea that mirrors distort. Casares quotes a heretical scholar from the country of Uqbar who said that mirrors and copulation are abominable because they multiply the number of men. Borges is interested and asks Casares for the origin of the quote. Casares cites The Anglo-American Cyclopedia (New York, 1917). The friends find a set of the encyclopedia (in itself a copy of the 1902 Encyclopedia Britannica) and in the last pages of volume XLVI they locate Upsala but there is no Uqbar. The next morning Casares calls up Borges and tells him, that indeed, in his copy of the Cyclopedia, and in Volume XLVI there is a reference to Uqbar. This volume mysteriously had 921 pages instead of the 917 they note in a copy at a bookstore on Calle Corrientes. To be brief, it is suffice to note that in this longish story, a first-rate bibliographical maze (one of the author's longest short stories) Borges reveals to us that a journalist from the Nashville paper The American discovers in the Memphis Public Library in 1944, the 40 volume set of the First Encyclopedia of Tlön. Tlön is an apparently fictitious (or maybe, not) planet (with a country called Uqbar) and, "If our forecasts are not in error, a hundred years from now someone will discover the hundred volumes of the Second Encyclopedia of Tlön. Then English and French and mere Spanish will disappear from the globe. The world will be Tlön." 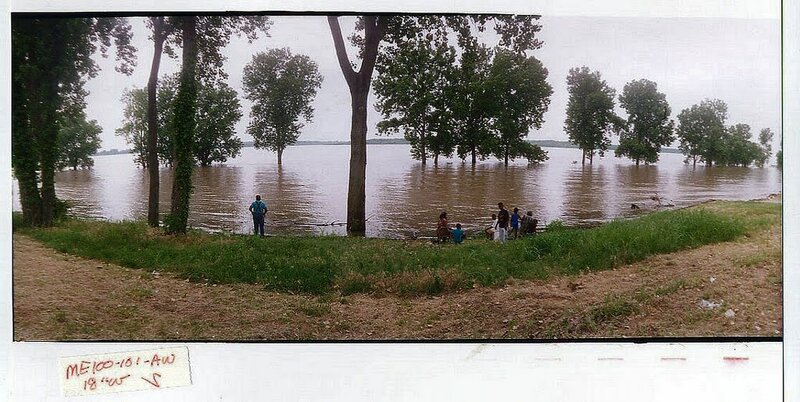 I took this picture in Memphis on the banks of the Mississippi and not far from the Pyramid. I have been recently seeing this scene in my dreams where the portly black man on the left turns around and I see instead Diane Arbus's remarkable portrait of Borges (top, right) taken in New York's Central Park.